Dental implants are a permanent way to restore beautiful, natural looking teeth. 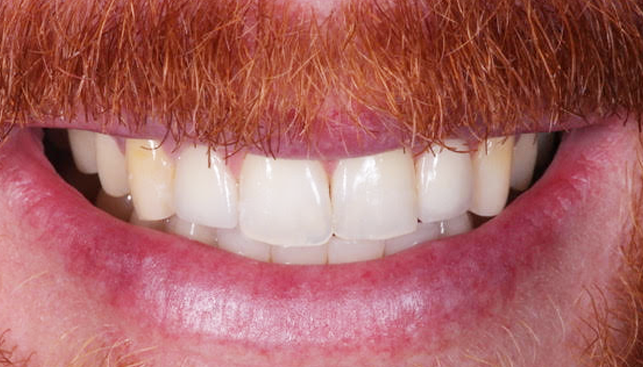 They are more cosmetically appealing than full or partial dentures. Dental implants also eliminate messy gels, nightly soaks and bad odors associated with dentures. 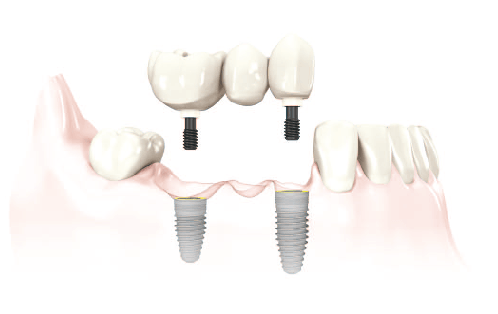 A dental implant is simply an artificial tooth root that is placed into your jaw to hold a replacement tooth or bridge. Your new teeth implants in Los Angeles will blend in naturally with the rest of the teeth in your mouth, and you will be showing off a sparkling and healthy smile in no time! Dental implants look and function precisely like natural teeth, without affecting the surrounding teeth. 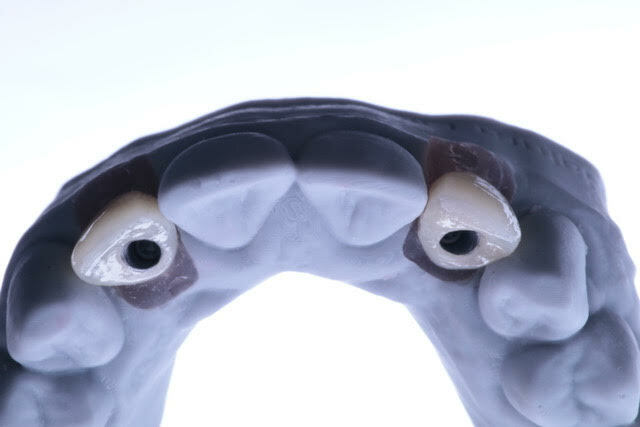 It’s always best to maintain a patient’s existing healthy teeth, which is why multiple implants are often a better solution for patients looking to replace several teeth. Most importantly, in the case of multiple implants, the natural jawbone is better preserved because implants are rooted directly into the bone, replacing tooth roots, as opposed to dentures or bridges. 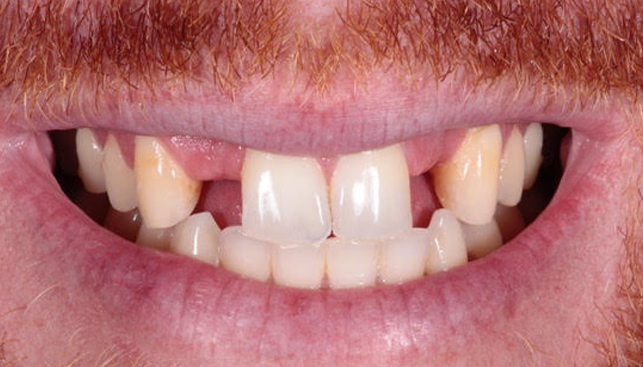 Because of the nature of conventional dentures, the bone around the missing tooth begins to deteriorate over time. Therefore, multiple dental implants are a preferred solution because they naturally protect healthy existing teeth, and are securely anchored into the jawbone preventing the implants from slipping or shift; an especially important factor in patients’ ability to eat and speak. Dental implants are most commonly made of titanium, but can also be made of zirconia or ceramic. Multiple implants are designed to last years, and potentially a lifetime, with the correct care and maintenance. Factors such as nutrition, proper oral care, overall body health and regularly scheduled visits to a dentist impact the health and lifespan of your dental implants. The same steps are taken to treat single or multiple implants. 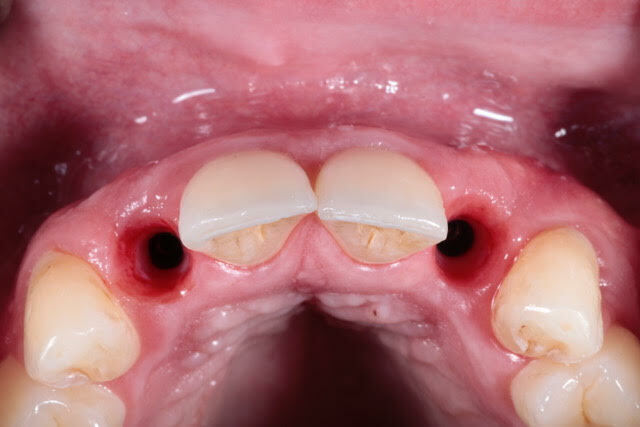 Depending on the number of teeth that require replacement, several posts can be placed in the upper and lower jaw. The process first allows for the gum around the implant to heal after it is placed into the jawbone. During this healing time, which can range from 3-6 months depending on where the implant is located, the osseointegration process occurs, which allows for the titanium or zyrconia post to naturally assimilate to the jawbone. Finally, the permanent restoration, the crown, is attached to the implant. We utilize IV Sedation coupled with a local anesthetic to relax the patient and numb the area, so they feel no pain during treatment. Because the gum takes time to heal, patients may experience brief discomfort for a few days following the procedure. Your periodontist will recommend a pain reliever that can be purchased over the counter to manage the initial discomfort. He trusted us to restore his smile and with thorough communication and several visits, he left confident with his results, and achieved his dream smile! After a proper diagnosis, Dr. Aalam determined that multiple dental implants would be the best solution for improving this patient’s smile. Dental implants are the optimal solution because they are a permanent way to restore a beautiful, natural looking smile. During the initial consultation, Dr. Aalam found that this patient experienced minor bone loss, as well as gum recession over the right canine. Dr. Aalam communicated the diagnosis thoroughly and created a personalized treatment plan for this patient. First, a bone and tissue graft needed to be done in order to prepare the mouth for permanent dental implants. Permanent dental implants are placed directly in the jaw bone, and replace the tooth roots. Because the patient lacked the adequate bone density needed to sustain the implants, Dr. Aalam completed a bone graft, and grafted it to the existing bone to strengthen the supporting bone. 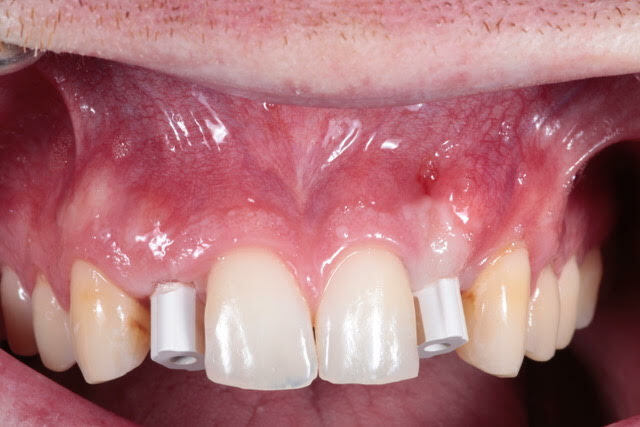 Under IV sedation, a tissue graft was also performed to treat the gum recession above the right canine. Tissue from the patient’s mouth was taken and grafted to the gum to restore the gum line and lost tissue. 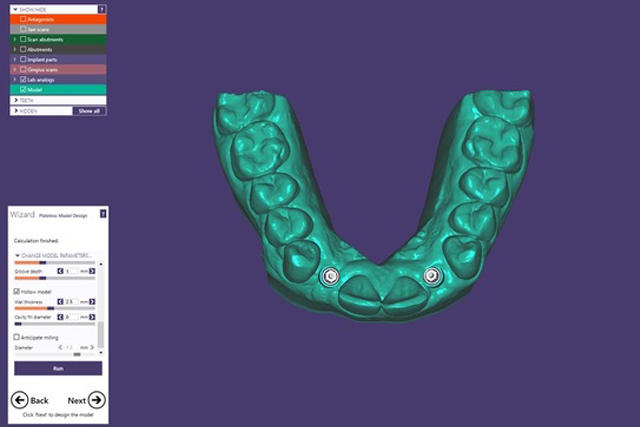 Next, utilizing advanced technology, a scan of the patient’s mouth was complete, and we created a mold to determine exactly how the implants would be placed and what the results would entail. The gum and bone were allowed time to heal, and during the patient’s next visit, he received his permanent dental implants. The implants were anchored securely into the bone, and completed with temporary restorations so the patient would have what appears to be a complete smile, while the tissue around the implants healed, and the Osseointegration process occurred. This is the process which allows for the implants posts to naturally fuse to the jawbone. After four months, the patient returned to our office, the temporary restorations were removed, and permanent ceramic implants were placed that blended seamlessly with the patient’s smile! GET TO KNOW OUR LA OFFICE! Copyright © 2018 Center For Advanced Periodontal & Implant Therapy. All rights reserved.